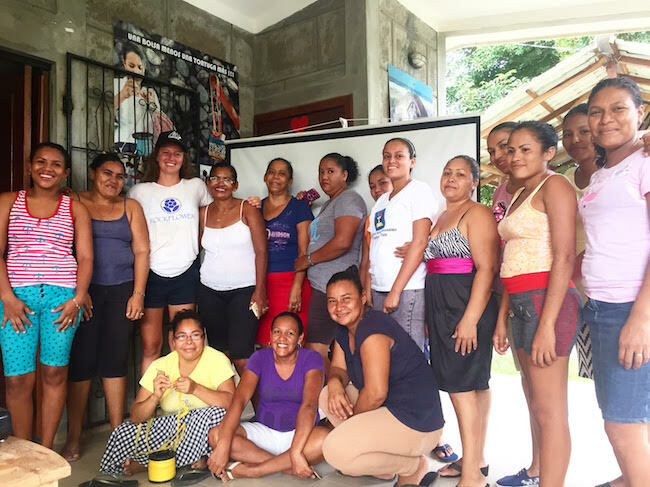 In partnership with Casa Congo, a social enterprise based in Astillero, Nicaragua, an investment has been made for the second time into the Women's Collective of Astillero. The founding members of the Collective, The Tejedoras are a group of local women in Astillero who started an up cycling business over 11 years ago. Casa Congo has a vision to empower the local community through environmental and cultural conservation, through the four pillars of Ecology, Ocean Advocacy, Built Environments and Place Making. The Rockflower/Casa Congo partnership will act as a gardener to facilitate the growth of The Women's Collective through the provision of access to credit and micro loans, educational workshops and collaborative endeavors. In order to learn, gain confidence and expertise, and increase their potential for economic empowerment, the women need support' not only through investment, but in developing business and marketing models to maximize their amazing entrepreneurial spirit. This campaign is raising funds to build upon an earlier investment in The Tejedoras Juice and Smoothie Bar, an idea which this determined and inspired group of women brought to life in December of 2017. Support the Women’s Collective of El Astillero by visiting our campaign page. This fundraiser is being led by Rockflower Youth Advisor and Casa Congo team member Francesca Ward and assisted by Casa Congo volunteers Cobo Alvarez de Toledo, Hannah Rikeman and Bianca Acland. In February of this year, Rockflower funded a pilot project to support the economic empowerment of deserted women living in coastal villages in India's southern state of Tamil Nadu. The fundraising campaign was part of Rockflower's partnership with the Society for Participatory Research and Integrated Training (SPRIT), which focuses on creating sustainable economic development for female headed families after the loss of a spouse or desertion. Rockflower launched a fundraiser to empower single women who head families in India. The fundraiser is part of Rockflower's "Sustainable Economic Development of Single Women Headed Families" partnership with The Society for Participatory Research and Integrated Training (SPRIT) in Tamil Nadu, India.